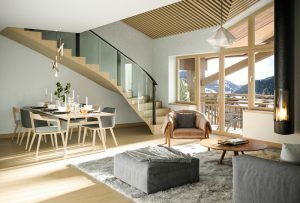 Skiingproperty.com is delighted to offer these new build ski apartments, which are set in the heart of Chatel, ideally located by the church and 3 minutes walk from the Super Chatel ski lift, this new development for sale will offer 19 high-end apartments in a wonderful chalet-style building. 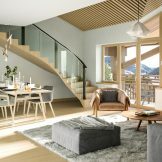 This brand new development enjoys a private and unique location in the centre of Chatel, a true year-round resort. 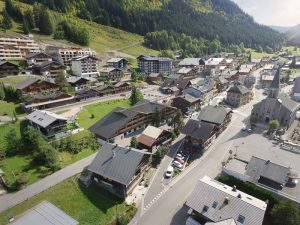 Following considerable infrastructure investments in the form of new ski lifts to Linga and an impressive public aqua centre, Chatel has grown into a vibrant resort that seriously competes with its neighbours Les Gets and Morzine. 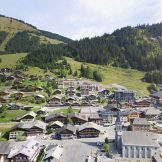 Yet, because it started maturing later in its lifespan, Chatel has managed to retain its defining attribute, its undeniably distinctive and authentic alpine charm. Giving access to 2 different sets of slopes and linked to Avoriaz and Morgins, the family-friendly resort now bears the “Famille Plus Montagne” label and is committed to a global sustainable development. The resort is located 1 hour 20 minutes from Geneva International Airport, Chatel is part of Les Portes du Soleil, a true snow lover’s destination, where just one ski pass allows you to access the 12 fantastic resorts that make up this truly world class interlinked skiing domain. 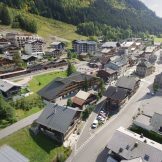 Considering the evolution of Chatel which places it on a level with leading resorts in the Alps, the unique location of these properties and their high-end quality represents great rental opportunities. These wonderful homes are situated in a fantastic location at the bottom of the mountains and close to many amenities, such as shops and restaurants. These luxurious properties all benefit from outside space in the form of a balcony or terrace that range in size from 8 to 17 sqm and offer beautiful east or west-facing views over the valley and the Mont de Grange. Whether you’re looking for a one or five-bedroom apartment, every property is generously proportioned and enjoys an internal area ranging from 47 to 124 sqm. The interior design combines high-quality comfort with traditional aesthetics using a selection of materials such as wooden floors and ceramics which the future owner can choose depending on the stage of the construction. All properties will also feature a cellar, a ski locker and a parking space. 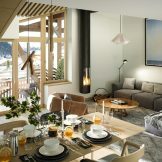 Following the strict rules from the town hall to preserve the timeless charm of the resort, these freehold apartments for sale are part of a chalet-style building which has been designed in a traditional Savoyard style with natural materials such as wood, stone and slate. 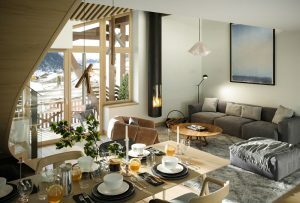 One bedroom ski apartments, from 47.72 sqm, plus balcony from 8.41 sqm, priced from 355,000 euros. Two bedroom ski apartments, from 56.39 sqm, plus balcony from 6.28 sqm, priced from 365,000 euros. 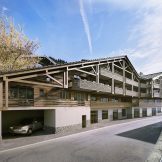 Three bedroom ski apartments, from 72.94 sqm, plus balcony from 7.54 sqm, priced from 550,000 euros. 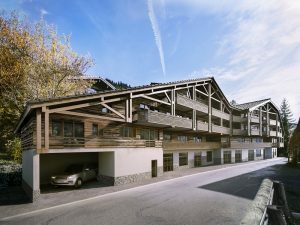 Four bedroom ski apartments, from 101.40 sqm, plus balcony from 16.34 sqm, priced from 960,000 euros. Five bedroom ski apartments, from 111.31 sqm, plus balcony from 17.40 sqm, priced from 995,000 euros.